#35. 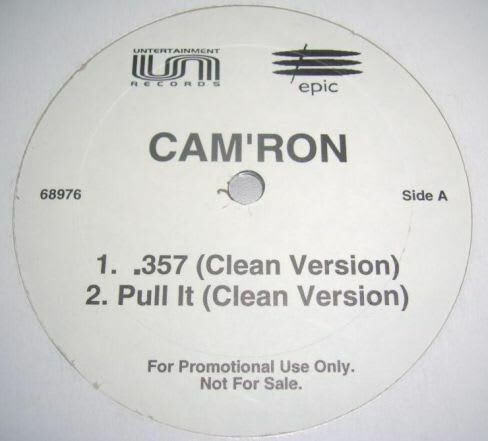 Cam'ron f/ DMX "Pull It"
Hey, kids! Once upon a time, way before G.O.O.D. Fridays reframed the way music gets introduced to the sweaty masses, rappers used to put out singles on "vinyl." This track with DMX was on the flip side of ".357," a fact that is interesting because neither song even had a hook. Just a reminder that Cam—like Earl Sweatshirt or MF DOOM—is a word nerd first, no matter how much he tries to conceal it behind pink fur coats.